Tired of drinking that boring old H2O? Did you know that by adding a few ingredients to your water, you can transform your plain water into a glorious detox water with bursts of colors and flavors? Drinking water is a great lazy hack to lose weight fast, as it keeps the body regular and helps to flush out harmful toxins. 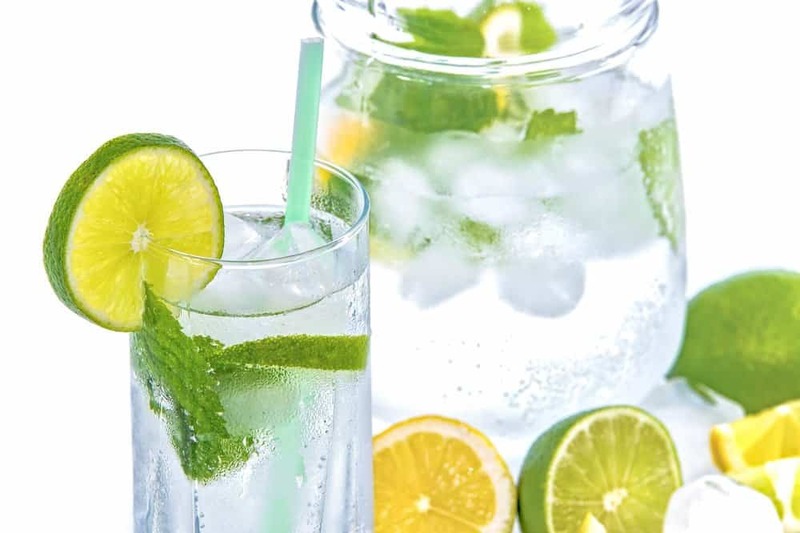 Detox water is made by combining plain water with fruits, vegetables, herbs and spices and letting the ingredients soak for at least 2 hours in the refrigerator. The longer you let the ingredients soak, the more flavors and nutrients you will drink! What Are The Benefits Of Detox Water? Fills you up so you don’t eat as much junk food. Keeps your organs functioning and healthy. Helps your body recover faster from a workout. Beautifies your skin, nails and hair. Drinking water and weight loss go hand in hand. Drinking water to lose weight and be healthier is one of the easiest habits you can build, especially when you have so many healthy and delicious detox waters recipes to choose from! The following recipes are all based on filling a 16 oz mason jar (add about 2 cups of water). You can make the detox water the night before and store it in the refrigerator. The mason jar is convenient to take-and-go in the morning, and pairing it with colorful striped straws and straw lids makes me want to sip on these drinks even more during the day! 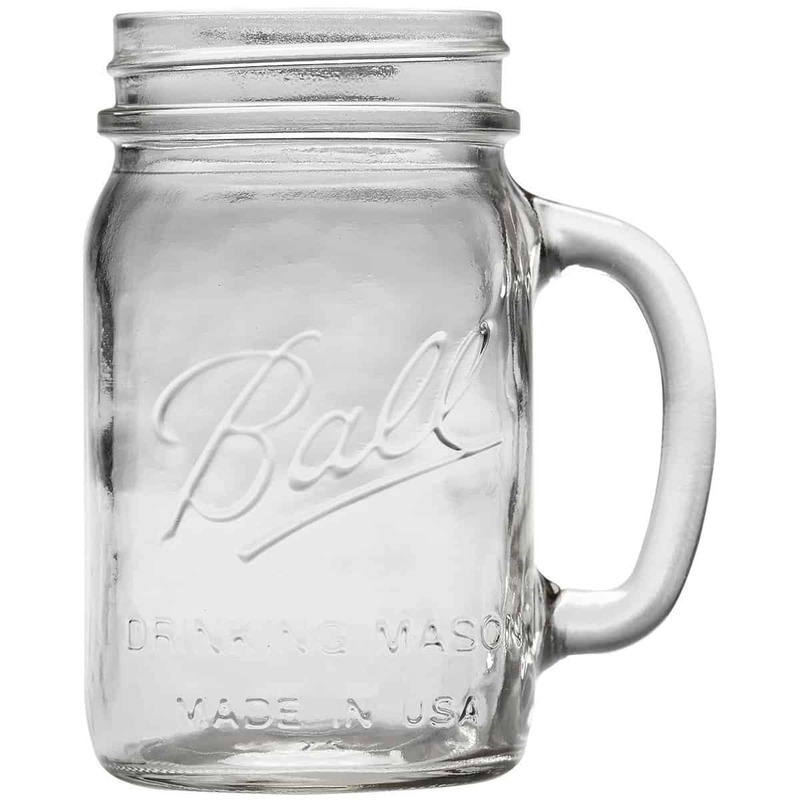 You can re-fill the mason jar with water twice keeping the same ingredients. It’s best to drink it 30 minutes prior to each meal of the day so that you are less likely to overeat during your meals. 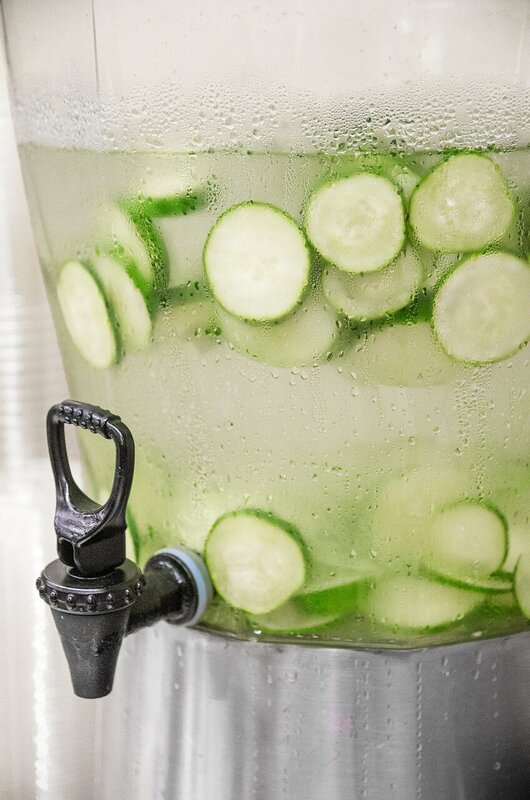 This simple classic cucumber water was one of the first detox water recipes to make its rounds at Spas. Cucumbers contain antioxidant nutrients including vitamin C, beta-carotene, and manganese. It can help you fight inflammations and has potential anti-cancer benefits. Cucumber also helps reduce water retention in the body by acting as a natural diuretic and thus speeds up your weight loss. Lemon contains high amounts of vitamin C, aids in digestion and acts as a detoxifier to help flush toxins out of the body. Regularly sipping on the lemon water can help you lose weight, as the pectin found in lemon helps you feel fuller. There are many benefits of ginger for weight loss, and pairing these two together makes for a powerful water cleanse to shed those extra pounds. Peaches and other fruits with pits are low in fruit sugar, and can potentially ward off metabolic syndromes and decrease the risk for obesity-related diseases including diabetes. Mint aids your digestion, eliminates gas, prevents stomach acid, helps you absorb nutrients, and is anti-inflammatory. Its aroma and flavor are both refreshing and relaxing. Apples are high in pectin and can help eliminate toxic build up and cleanse the intestines. The benefits of cinnamon for weight loss revolves around its ability to control blood sugar. Cinnamon adds a distinctive, yet subtle sweetness to the water. This makes for a tasty infused water for weight loss! Strawberry can help unload toxins and even shed extra pounds with its diuretic properties. This is a colorful and flavorful combination that is sure to be a party favorite. Watermelon contains citrulline that helps the liver and kidney filter and flush out toxins such as ammonia. The mint adds a refreshing dimension that is perfect for cooling down on a hot summer day. Grapefruit is an excellent intestinal and liver detoxifier. 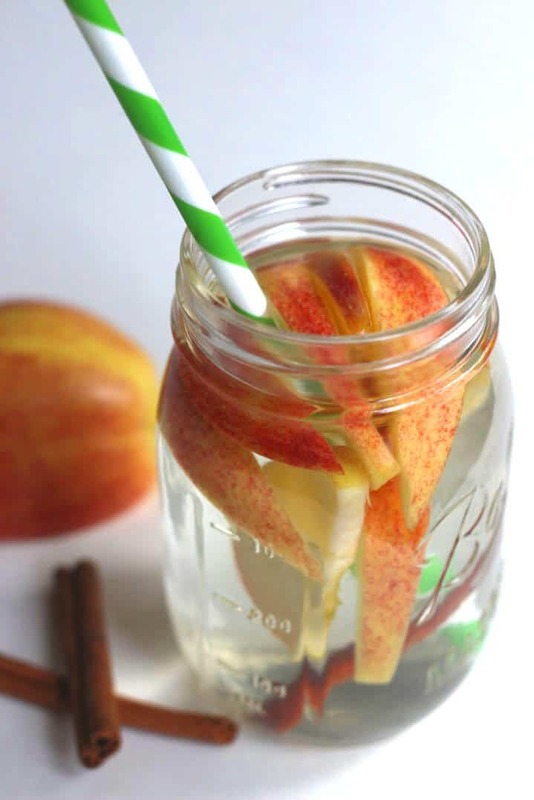 It also packs a high fiber content so be sure to eat it after you finish drinking this delicious detox water. There are many apple cider vinegar health benefits, among them its ability to aid digestion and weight loss efforts. Raw honey, unlike refined sugar, contains many beneficial vitamins and minerals so you are not just drinking empty calories. Its sweetness balances the strong vinegar in this recipe. 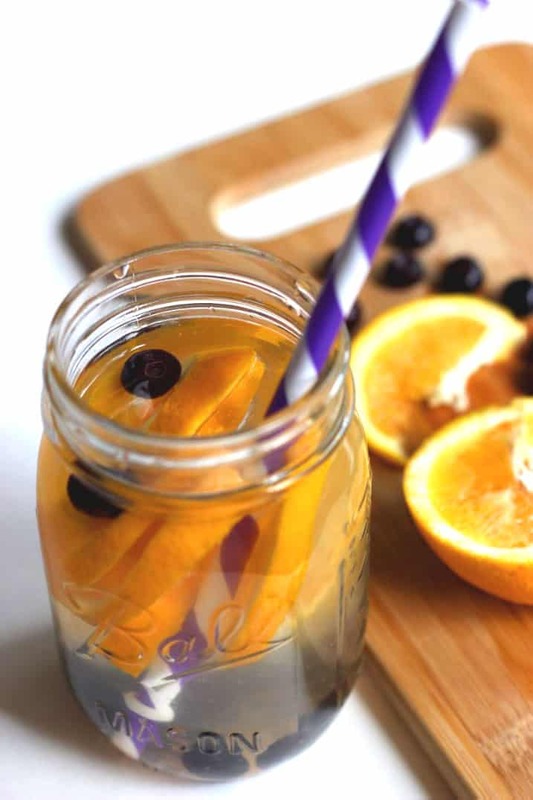 The citrus fruits in this detox water recipe provide high vitamin C to boost your immune system. And yes, mint is my favorite ingredient for detox waters! Pineapple contains bromelain, a digestive enzyme that helps cleanse your colon and improves digestion. Add in the cucumber and mint and this detox water is a powerhouse for your digestive system. This combination is simply gorgeous to look at and delicious to boot! It’s loaded with antioxidants and vitamin C that can boost your immune system. This is yet another pretty and simple detox water to enjoy, especially in the summertime when raspberries are in season. The insoluble fiber found in raspberries promotes regular bowel movements, which also aids weight loss. The strawberry and cucumber are energizing and rehydrating, and the basil helps to curb appetite and reduce fluid retention. Weight loss and drinking water go hand in hand. Drinking water helps to increase your metabolism, cleanse your digestive tract, clear your skin and promote overall health. So upgrade your boring plain water with these 12 delicious, healthy detox water recipes to boost your weight loss! 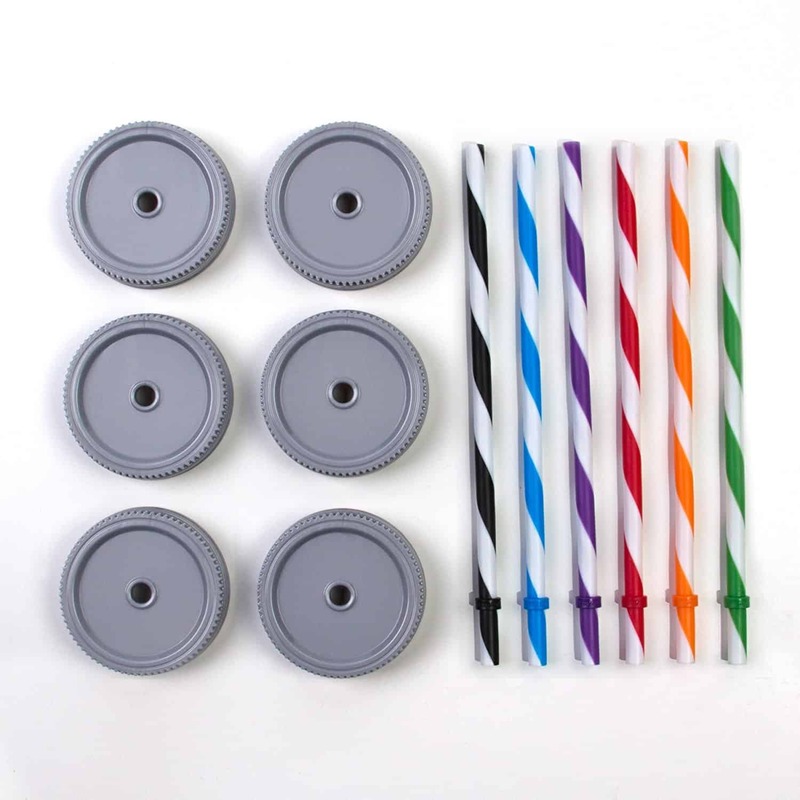 And the convenient grab-to-go mason jarspaired with these straw lids and striped strawsmake drinking on-the-go and refills throughout the day super easy, you shouldn’t have any more excuses not to drink your water! Ready to drink up?! What are your favorite ingredients for your detox waters?